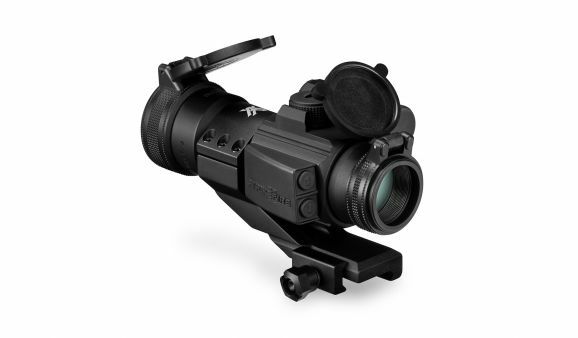 When situations demand split-second target acquisition and maximum field of view, mount up the Strikefire II and get shooting. Compared to its micro red dot cousins like the SPARC AR or Crossfire, the Strikefire II’s larger objective and 30mm tube design provide a larger field of view, and allow it to be mounted at just about any height using most common 30mm rings. 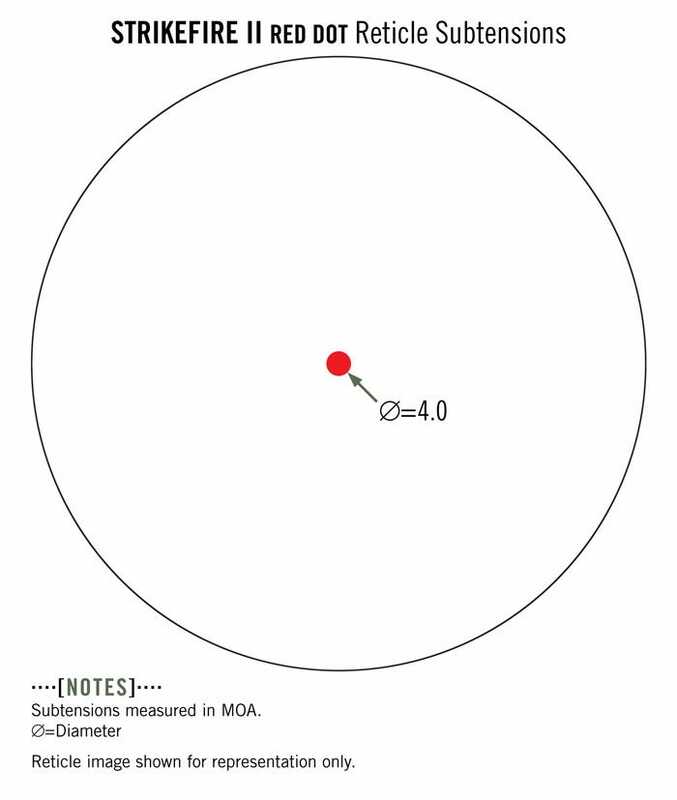 A 4 MOA dot is easy to acquire quickly, and is available in red only or user-selected red/green. From AR-15s to shotguns, the Strikefire II offers big time versatility at a price that won’t break the bank. 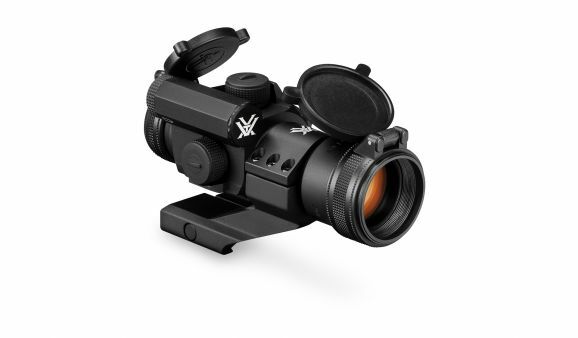 Parallax Free All red dot and holographic sights will exhibit some small amount of parallax. Matching current industry practice, this small amount would be considered "parallax free" and will make a negligible difference in performance. 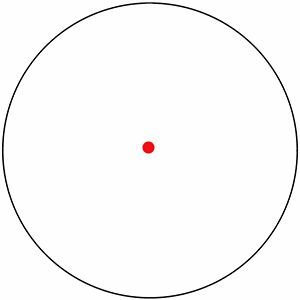 The daylight bright 4 MOA dot is ideal for situations that demand split-second target acquisition. Choose among ten variable illumination settings—the lowest two settings are night-vision compatible. 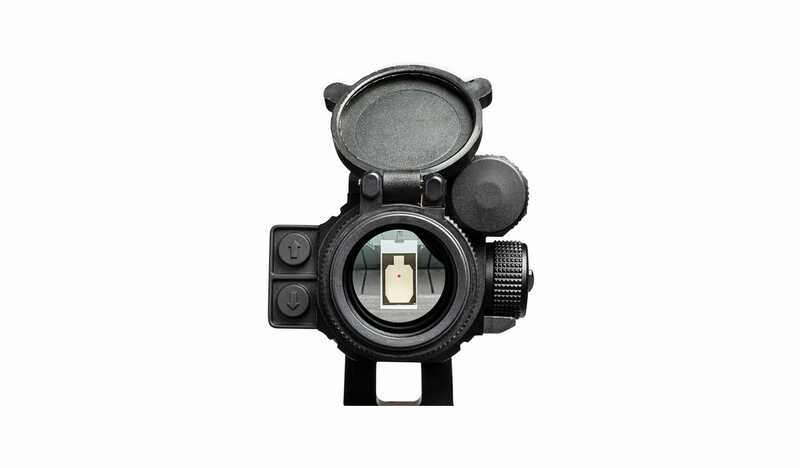 Subtension detail for StrikeFire II red dot.